Vancouver Photographer Spencer Kovats | Adventure, Sports, Lifestyle Photography: Specializing in outdoor adventure, action sports and lifestyle photography. 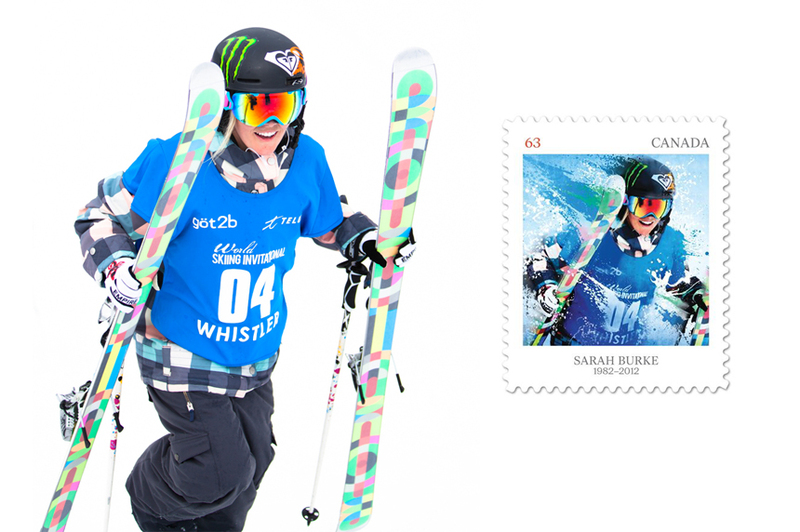 I am extremely honoured to have a photograph I created of Sarah Burke turned in a Canada Post stamp. As a Pioneer in Canadian Winter Sports, Sarah’s life was tragically cut short at a young age doing what she loved the most, Freestyle Skiing. She was a champion and was considered to be one of the main reasons the event will debut at the 2014 Sochi Winter Olympics in a few days.